Nielsen numbers released last month show media consumption continues to climb with more attention being diverted towards smartphones than ever before. The total percentage of time spent on mobile among 18 to 34-year-olds has reached a new high — 34% up from 29% the previous year — at the expense of more traditional TV viewing. It’s a dramatic development that turns up the pressure on companies to produce content that is digital, mobile and video first. However, it’s not enough to get the array of platforms right. The approach to storytelling has to reflect a broader range of emotions and appeal to the desire of digital natives for news that is as personal as it is pertinent. ABC Owned Television Station is doing both. They are focused on creating a consumer connection with hyperlocal stories, which drives revenue. 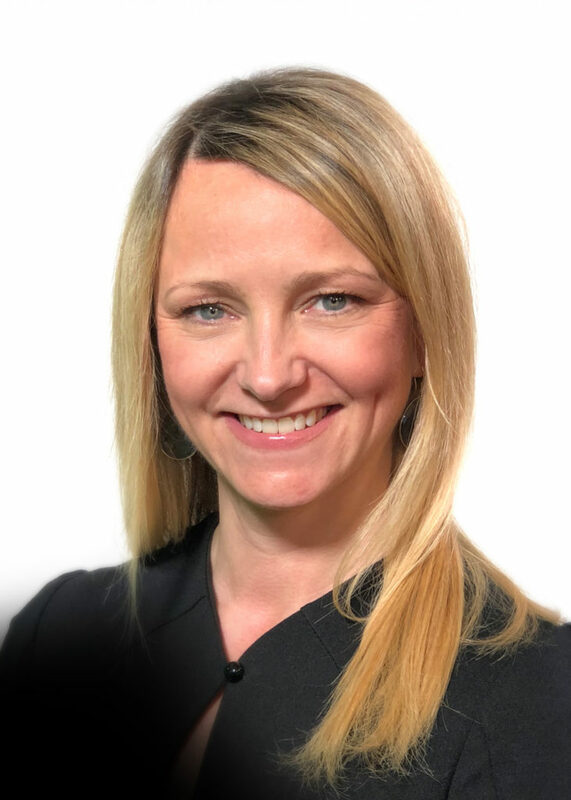 Peggy Anne Salz —mobile analyst and Content Marketing Strategist at MobileGroove — catches up with Jennifer Mitchell, SVP Content Development for the ABC Owned Television Stations. Mitchell is responsible for leading the content strategies and original, digital content production for non-linear platforms across the group. She works directly with the station content teams to fuel expansion of the digital footprint. She leads production teams in New York and Los Angeles to develop new content and revenue opportunities. The most recent is Localish, a digital-native media brand that brings out the good in America’s cities, which launched on ABC platforms in fall 2018. Mitchell discusses how Localish has combined local storytelling and a diversified distribution strategy to engage Millennials and enhance the value of branded content. Salz: At ABC, which owns its local affiliate in six of the eight largest media markets, you are building a new type of local-nation brand through Localish. What is the motivation and distribution strategy behind it? Mitchell: Our eight local television stations have strong connections to our communities. With our Localish brand, we tap into those existing strong connections to broaden the types of content we produce. We provide more diverse storytelling than what you might normally see in a traditional newscast or local news website. Drawing on the demand for authentic and relevant local storytelling, Localish launched with four series – “More In Common,” “Secretly Awesome,” “My Go-To,” and “Worth the Wait.” Each individual series helps viewers live like a local by sharing insider tips on hot trends, cool digs, and best-kept secrets around food, travel, and culture. We’ve since added six additional series under the brand. Our view is that this is a brand and a type of content, locally sourced yet nationally relevant, that can be everywhere and discovered anywhere. To support this, we have a very diversified distribution strategy. To start, you can find the Localish content on our eight local stations, both digital and linear. Because our stories generate interest across the country, and not just locally, as well as around the world, they transcend geographic boundaries. To reach and engage these audiences, we have built out a footprint across the major social platforms, Facebook, Twitter, YouTube, and Instagram. We also have a presence in Oath and there are other distribution opportunities that we are currently pursuing. The goal is to seed the content where viewers prefer to consume it; what we call the next generation of news and information. Salz: You have a presence on the abc.com platform, which is where localish.com lives, and you have chosen not to have a standalone mobile app at this point. Was this decision deliberate? Mitchell: Our brand is a digital-native media brand, and we want to be discovered and enjoyed by our audience, where our audience is. Our research on our top target audience tells us that 50% actively consume content on their smartphone across the day. They are also increasingly interested in local content. This trend is mirrored in Mary Meeker’s 2018 Internet trends report, which showed a 900% increase in Google searches for things that are “happening near me” or just nearby. Our goal is to bring in the audience from wherever they are and familiarize them with the brand so that they continue to come back no matter where we are. Mobile websites do this. Social is also a big component of driving traffic and audience for us. From the perspective of discoverability and growth, Facebook, Instagram, and Twitter have been strong platforms for us. Salz: Granted, social is critical for discoverability and virality. However, there can also be tension. Mitchell: It’s a delicate balance. And we weigh each decision about every additional distribution point very carefully. Data and research tell us that consumers congregate in certain places, and Facebook is one of them. Twitter, Instagram, and Youtube are also important platforms. We will continue to play in that space and we are also pursuing other opportunities to diversify the portfolio. Salz: Nationally, TV is experiencing a difficult shift in business models. But local news appears to be experiencing a comeback. At Localish you recently marked a milestone of 140 million video views. What do you think is driving this renewed interest in local? Mitchell: There is a local renaissance. And this isn’t just about there being increased interest in local stories, although our research shows there is. It’s about trust. With the public concern about “fake news” it’s local that is emerging as the most trusted source. In some cases, local news is more trusted than national news brands. We have that trust, and we are leveraging it in our markets. So, trust—consumers wanting to believe in the news—is driving a lot of this. Audiences also want to connect with the people and places that are important to them, both locally and nationally. Localish becomes the connection point, connecting dots for people and introducing them to things that they might not otherwise have known about. And when we talk about local news and information, we have to recognize that the definition of news has changed and evolved. It is not just about the day’s top stories. It’s about things that are happening near people, where they live, and they want to know about it. It’s our goal to surface that type of information locally. But we also want to introduce it to a wider audience, using the platforms and technology that can bring these stories to national and international audiences who have an interest or are just curious about these places. “Secretly Awesome,” a show uncovering the hidden gems in communities, is an example of this. We see from the engagement, particularly on Facebook Twitter, and Instagram, that people are sharing this content with others who don’t live in those cities saying, “Hey, the next time you’re here, we must go to this place” or “we must visit this business” or “we must buy this product.” So, what we’re seeing is content locally sourced, resonating with national audiences. It’s conversion and the activation of audiences through a new approach to storytelling that focuses on communities and connection. Salz: Local news has evolved. What’s different about storytelling at the local level? Mitchell: In a word: everything. It starts with the categories and topics we’re covering and extends to how we’re shooting pieces and telling the stories. The content is the focus, and many of the shows don’t have presenters. We’re finding it’s resonating with audiences because we’re getting right into the story. Our rule of thumb is to make sure the first three to six seconds of every piece of video we produce is compelling so that we draw the viewer in right from the start. We are also focused on positive storytelling. In many ways, it goes back to our brand attributes. Authenticity, curiosity, optimism, connected, unconventional: These are the words that we associate with the Localish brand. And this is the lens we use when we think about story selections. We also extend the concept to tell stories about commonalities people share that transcend local storytelling to be more universal. “More in Common,” which is different from many of the other lifestyle travels shows we launched, is an example of this. It’s a show we did for Facebook telling stories about people who are seemingly very different, from different parts of the spectrum. But despite differences in their backgrounds, politically, economically or socioeconomically, they come together and find common ground and a common purpose. It shows the bridges being built between people of various races, religions, genders, and backgrounds in cities and towns across America. These are stories that resonate with our audience. They defy the odds and remind us that, in a time when many Americans feel divided, we can be the best when we can be together. Salz: By design, these are stories that move our hearts and minds. How do you measure impact and gauge success? Mitchell: Virality is certainly one. However, that’s something no media company can control, so it’s not something we count on—or measure—from a business perspective. Engagement is a key metric. Real-time data that we can see on our social platforms shows our audience is extremely engaged. We’re a video brand and so we naturally focus on video views and completion rates. In just 30 weeks since launch, we’ve seen over 140 million video views. Performance is measured in audience and revenue. It’s important to build a business and grow revenue opportunities. To this end, we’re pursuing a number of traditional and non-traditional revenue opportunities as it relates to this new brand. In addition to licensing fees, we’ve also had some very successful ad sales deals around sponsorship and branded content. As we evolve the brand, we will look for ways to align our goals with the goals of our advertisers. There are local advertisers who want to acquire local audiences at the granular hyperlocal level. This is at the heart of what we do. We make connections with local audiences through content that they genuinely appreciate. Salz: It’s interesting that you can achieve this level of engagement without a strong emphasis on technology to enhance the experience such as AR/VR, for example. Mitchell: Content is the central focus for us. Our distribution strategy is diverse and we’re always looking for new opportunities in technology to deliver the story to our audiences. But, through all of these mediums, the content comes first. To broaden our reach, we’ve packaged the digital content into linear television specials airing across stations, hosted by up and coming talent. To expand even further, the brand is additionally shown on TaxiTV in New York City and in major airports around the country. What excites me most about the future of Localish is the continued evolution of engagement, how people are consuming content the way they want. Where our content lives, and how it can be accessed will always be aligned with the consumer first. We approach all branded opportunities in the same way. The aim is to seamlessly integrate the brand into the story in a way that our audience views it as quality content, not advertising. We were recently chosen as one of seven premium brands for the Local Media Consortium and Local Media Association’s Branded Content Pilot Project, which will further help us accomplish that goal. With this support, we’ll have additional resources to develop branded content with strong storytelling that makes sense for our audiences. We’ll also have tools to better understand which types of content work for our advertisers. Editorial and storytelling are the priority, and we make that very clear with our clients and advertisers. We have the creative control, and these stories will be released in the weeks and months ahead. In many conversations with advertisers, clients and agencies, they tell us local content and our approach to storytelling is “new and shiny.” This is interesting because the technology isn’t the attraction. It’s the brand and the positivity—and the feeling of community we reinforce with content.